Welsummer is vintage fabric expert Kim Kight's latest collection, inspired by Scandinavian folk design and retro kitchen imagery. 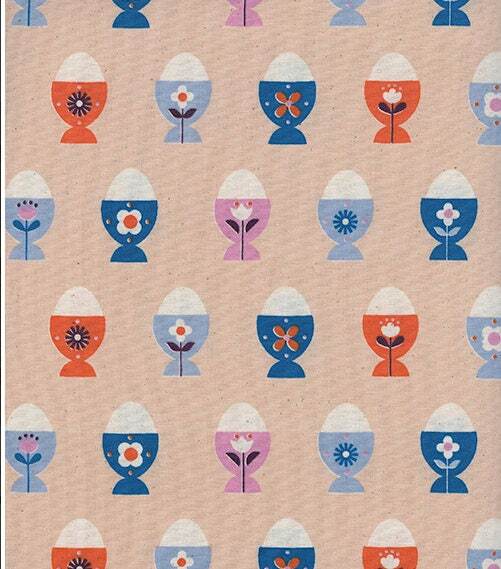 The whimsical egg prints are dedicated to Kim's real-life flock of chickens. The name comes from the chicken breed- Welsummer! Coming in February 2018.